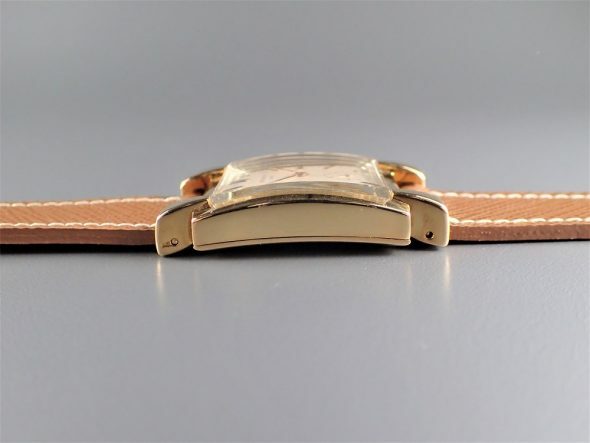 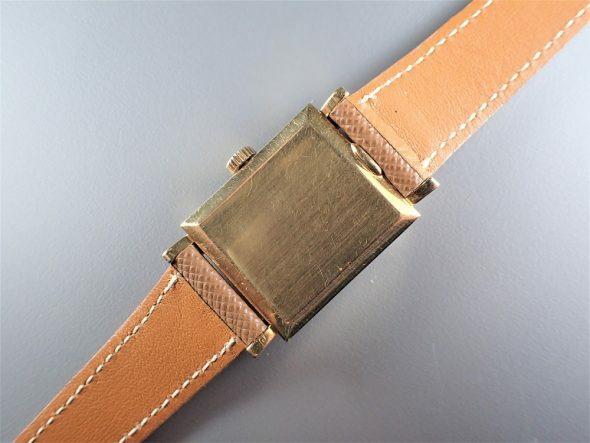 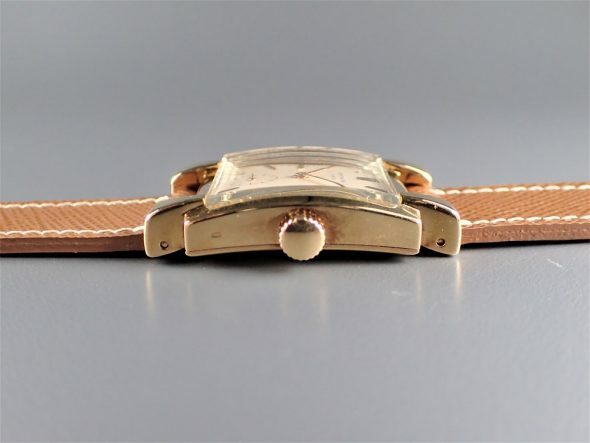 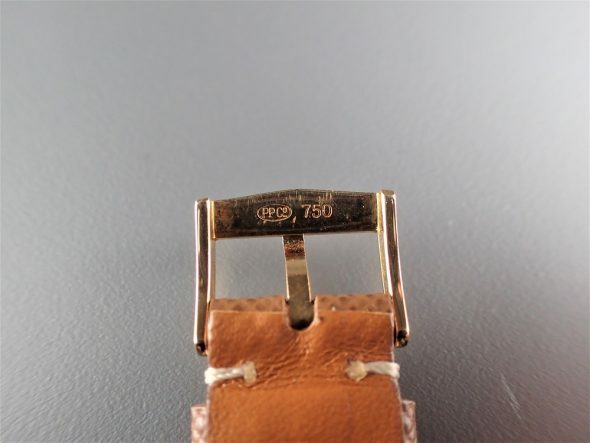 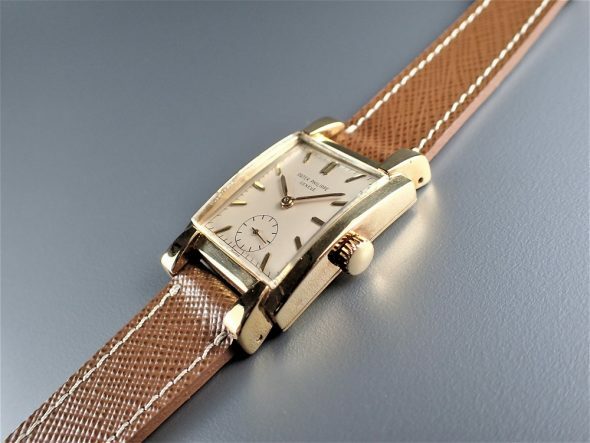 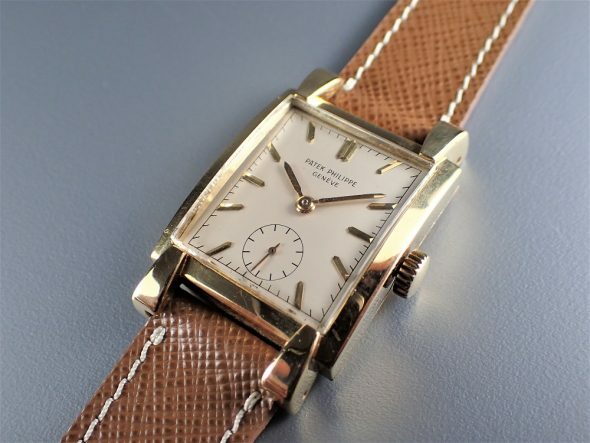 A very fine and very rare 18k yellow gold manual-winding rectangle wristwatch ref.2427. 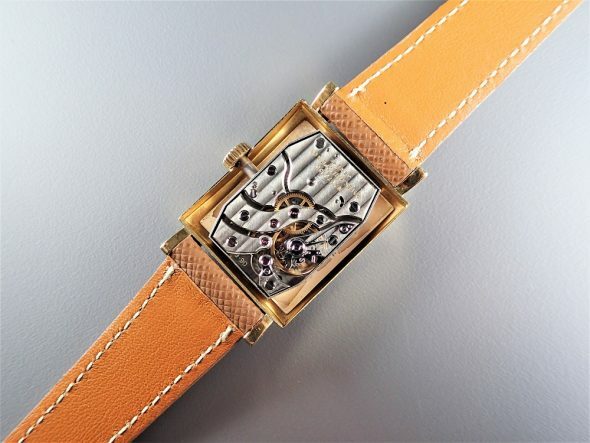 Reference 2427 was launched in 1948 and fitted with a highly unusual case design. 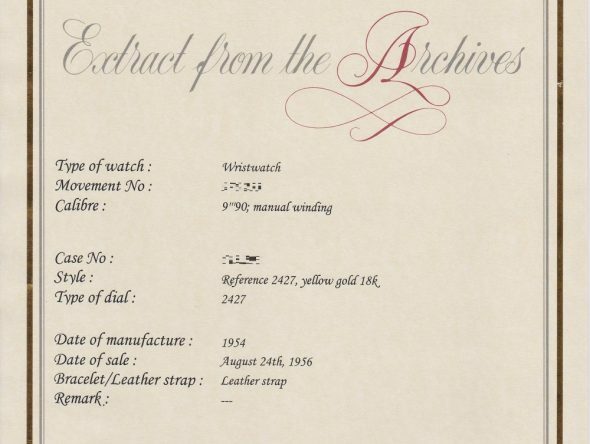 With Patek Philippe Extract from the Archives confirming production of this watch in 1954 and its subsequent sale on August 24th., 1956.